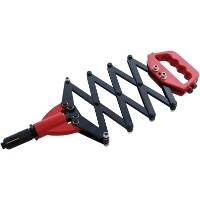 Need to bond heavy-duty materials with minimum of effort?  Euro Car Parts’ excellent range of riveting tools are ready and waiting. Take a look through the product selection below and order yours today. 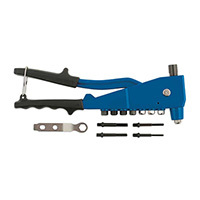 Riveting is one of the most effective ways of fastening heavy-duty materials such as metal. Pins are passed through holes using riveters, then cut and stamped to make sure that they cannot come undone. Riveting is popular among mechanics and those who work in the construction industry, helping bond thin, thick, light and heavy materials of all shapes and sizes. 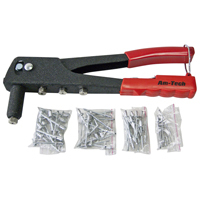 At Euro Car Parts we supply a range of riveting tools, all made by top-quality manufacturers like Am-Tech to give you peace of mind they won’t break unnecessarily. Affordable and hard-wearing, through Euro Car Parts’ online store you can get hold of your must-have riveting tools quickly via free UK delivery, or by choosing click and collect, picking up your tools from your closest store, of which there are over 200 nationwide. Take a look through the range today, and if you would like any additional information about our riveting tools, don't hesitate to get in touch with our helpful team.